After years of trial work, we understand that judges and juries are still human and, as a result, may not always get their decisions right the first time. Therefore, we often file appeals on behalf of our clients to the appropriate court, whether that be the Maricopa County Superior Court, the Arizona Court of Appeals or the Arizona Supreme Court. Our appellate experience ranges from civil and business law to criminal and even family law. Moreover, our attorneys are also well-versed in defending appeals on every level. 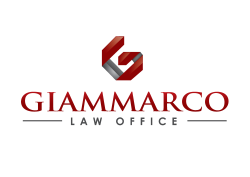 Please contact us if you are considering filing an appeal or have an appeal pending against you.